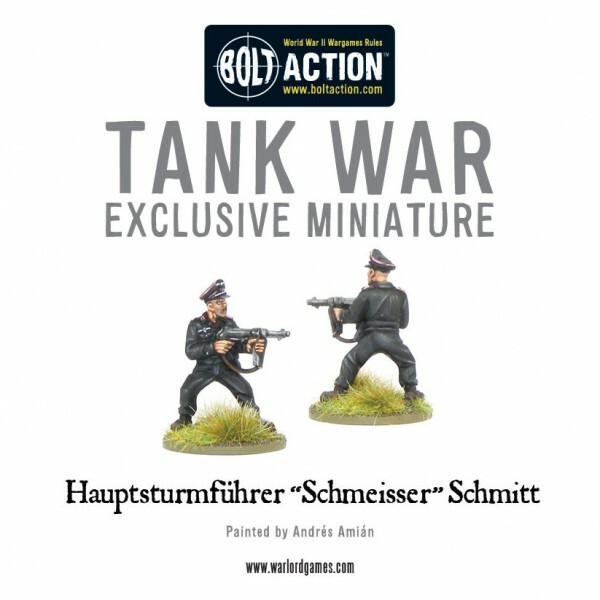 Now you can design your own Tank Ace and storm into a Tank War battle! 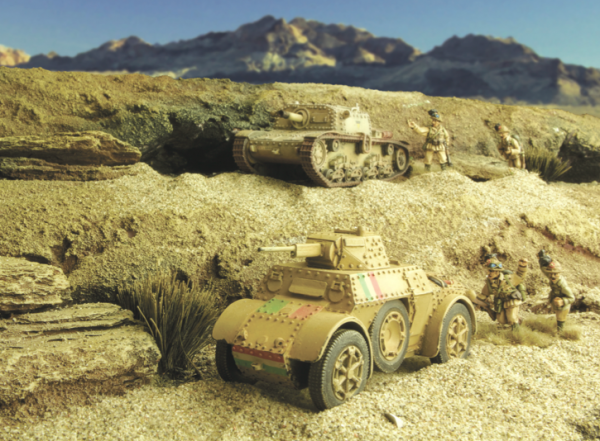 With ‘Tank War’ shipping-out early, and in the eager hands of Bolt Action players worldwide – we sat down with our resident Italian, Alessio Cavatore, for a few guidelines on how to go about designing your own tank aces and legendary crew for your Tank War vehicles. This way, you can create all sorts of interesting characters for your friendly games, whether that’s from history (even your own family history!) or from the realm of your imagination. So, how do you create a tank ace? Well, the first thing to do is to decide who he is (what nationality? real or imaginary? Etc.) and what type of vehicle he is going to use. 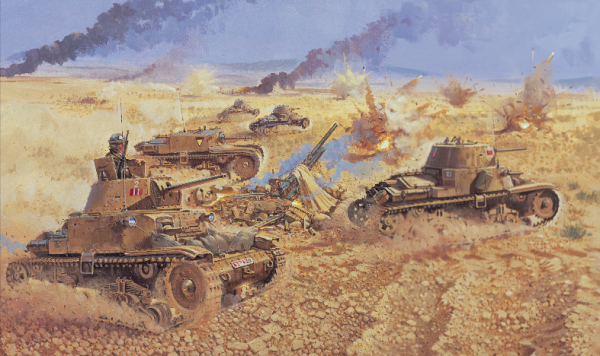 As an example, I will use Tenente A. M. Scalise, second in command of a battery of ‘Semovente’ part of the Ariete Dvision that fought in North Africa, where he earned a posthumous Medal of Honour while commanding a Semovente 75/18. Was lieutenant Scalise an ‘ace’ in the technical sense of the word? Did his semovente knock out five or more enemy tanks before being destroyed? We’ll never know, but if there was one an Italian vehicle that stood a chance of achieving that, thanks to its low profile and relatively powerful main gun, it was his ‘bassotto’ – that’s ‘sausage dog’, as the Italian tankers referred to the Semovente, which you’ll agree is a much better nickname than the ‘bara rotolante’ (‘rolling coffin’) that was reserved for the M-series tanks. Obviously, always use the highest level of quality available for the chosen vehicle, which in most cases is going to be ‘Veteran’. If no such level exists, it is because we already decided that nobody had enough combat time in the vehicle to reach that level before the end of the war, so either use the highest level available, or simply choose another vehicle, as a non-veteran ace is a bit of a contradiction in terms. So, to begin designing Scalise’s ‘bassotto’, I started from a Veteran Semovente 75/18, which comes at 204 pts. To the cost of the veteran vehicle (and its chosen options if any), then add the special ‘discounted bundle of rules’ that every legendary tanker gets – at +25pts they receive both a less powerful version of the ‘Command vehicle’ special rule (see page 34 of Tank War) and four skills chosen from the lists on page 28-29 of Tank War. This might seem a little cheap, but consider that the rule has half the range of the normal ‘Command vehicle’ and that the four skills are only used once a game. When choosing the skills, it’s normally good to refer to the combat history of the man you are re-creating in the game, whether you have researched the actions he took part in and the reputation he had in reality, or instead you have made up a suitably evocative story about him. In the case of Lieutenant Scalise, I went to his Medal of Honour citation for inspiration (I translated it here, trying to keep the old fashioned style of the language). Finally, if you think the legendary crew is not legendary enough, feel free to add one, or even two, special rules to the unit’s normal special rules (if any). These can be already existing special rules (recce, amphibious, etc.) or unique special rules that you create specifically for this unit – best if they are based on the unit’s history. 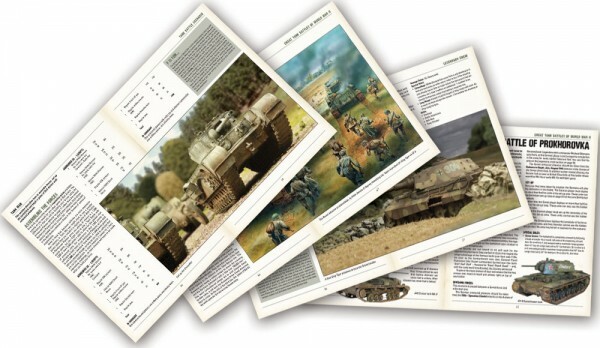 The points values for existing special rules can sometime be found in the ‘Armies of’ series of books (recce is +10pts, command vehicle is +25pts… etc.). So, use these as guidelines for pricing up other rules – in general, something not so powerful should be around +10pts, and then up in cost as the power of the rule increases. This is obviously an imprecise science, so if in doubt, always err on the side of expensive! For Scalise, I did not want to create any powerful special rule, as I feel that those should be reserved for the ‘uber-units’ like Wittman and Knispel, not for humble Italian, Japanese, Polish tank crews (or any other minor belligerent), who in general did not stand a chance of becoming ‘tank aces’, because of extremely short survival rates… you kinda need a proper ‘tank’ before you can become a tank ace. So I was going to stick with the normal Vulnerable and HE rules of all Semoventes (and I ignored the option for the additional MMG). But then I decided to give Scalise a ‘proper’ version of the Command Vehicle special rule, as he was a Lieutenant and the commander of his unit anyway. Normally that rule is +25pts, but if given to someone that already received the ‘half-range’ version of the rule included in the ‘legendary crew upgrade bundle’, I halved the cost to +13 pts, rounding up the total cost of Scalise to 242 points. And there you have it – one set of guidelines to make up your own tank aces and one example to go with it. 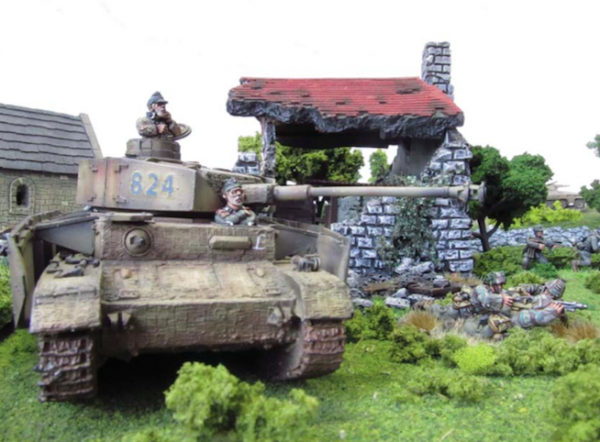 Below is the finished Army List entry for my chosen Tank Ace – Scalise, and his Semovente. Weapons: One forward facing hull-mounted medium anti-tank gun. Weapons: One turret-mounted heavy anti-tank gun with co-axial MMG and one forward facing hull-mounted MMG. Shurzen – shaped charges (bazookas, PIAT’s etc.) never get the +1 pen bonus for hitting the vehicle in the side. Born Survivor – if the tank is knocked out, roll a D3+1 to determine how many crew survive, rather than the normal D3. In addition, when rolling to determine which crewmen died, Schmitt can re-roll the dice if the result shows it should be his turn to die (only once, of course!). Finally, Schmitt can fire his submachine gun after moving 2D6” towards its table edge as a retreating surviving tank crew! 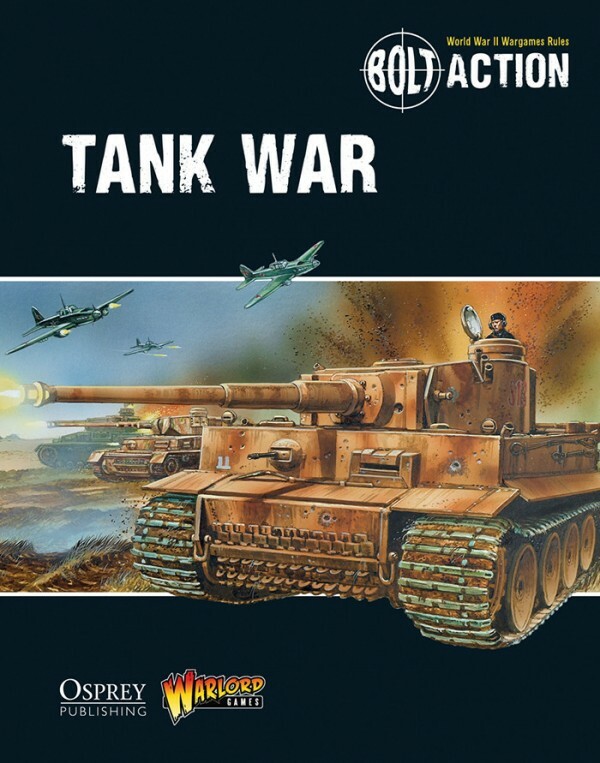 So – Why not have a go yourself – whether it’s a particular favourite historical tanker, or perhaps a fictional character – grab your copy of ‘Tank War’ and a suitable armoured companion, and get ready for war!